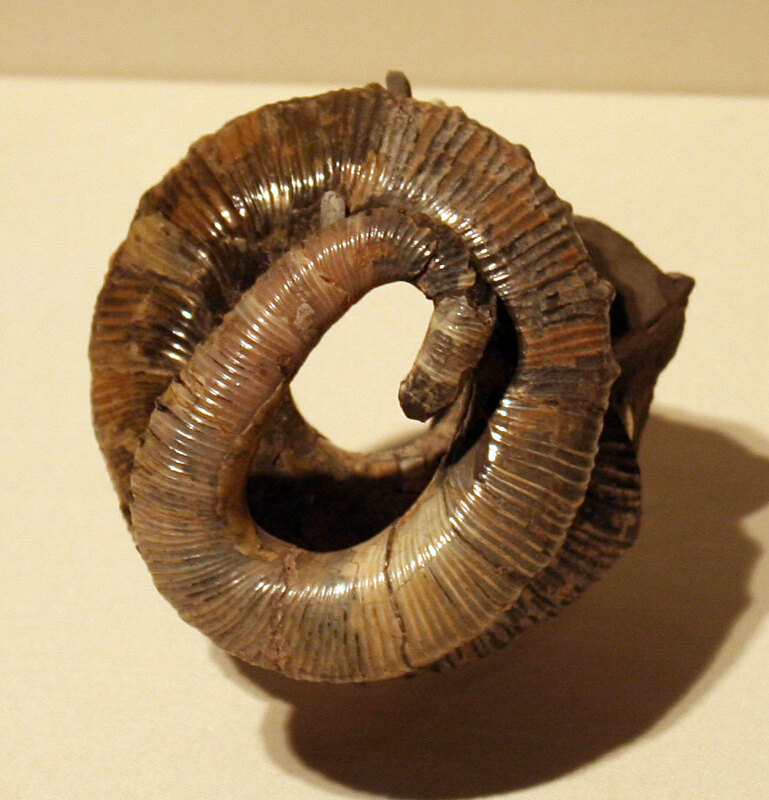 The Emperoceras sp. ammonite fossil displayed at the Carnegie Museum of Natural History in Pittsburgh, Pennsylvania (July 2011). The creature existed in the Western Interior seas of the Upper Cretaceous (Mesozoic Era).